James joins Jim Goddard of HoweStreet.com radio to discuss the recent Japanese election, the situation with North Korea, the Chinese Communist Party’s recent National Congress, the Las Vegas shooting and the Clinton Foundation’s ties to the Russia-Uranium scandal. Can I offer a suggestion James, many that have listener supported websites such as yours, charge $5/month on average. $1/month is too low for the amount of content you bring each week. I am so glad that you bring this subject up! You are correct, “$1/month” is extremely low. Hopefully subscribers have enough integrity to donate more according to their budget. I am certain that James won’t turn away higher donation amounts. But no matter how much a person donates monthly (or yearly), I am sure James appreciates all his subscribers. 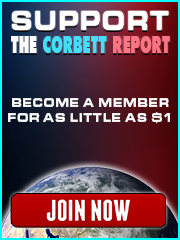 Also, as a Corbetteer Community, we can help to promote and spread the word about Corbett Report. This helps us all. We build our community. We build subscribers. We can support other subscribers. And this Promotion Method is a nice way to help make up for shortcomings when a person is in tough financial straights (like me). The “$1/month” subscriber fee also is a Platinum Golden Statement about the purpose and intention of James Corbett. It demonstrates that he is not in this for the buck. He is in this to better conditions. However, I am sure his family could use the buck. 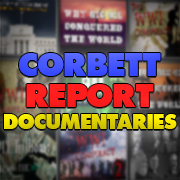 The Corbett Report is open source. And we are part of that. We can all contribute something towards bettering conditions and staying informed. I donate one dollar a month. Of course, I also subscribe to others as well. This allows me to make at least give a token amount of support to several creators rather than just one or two. It’s all about the numbers. A simple course in economics would show that raising the price is going to lower the number of subscribers. At a certain point, it will no longer be cost effective to raise those prices as it will generate less money. Also, I don’t really think that James is in this business to become a multi-millionaire, though I hope he is doing well. Since I am not in the top 1%, I live on this thing we call a budget. While I do have money left over, and am not starving, I put the majority of that money into my own path towards creating liberty. Ultimately, none of this is about making money. Someone’s desire to see someone make more money in this venture is admirable, but if they want them to make more money then they should contribute more themselves rather than advocate for a smaller audience with higher rates of subscription. Just my 1 cents worth. I’m in the bottom half of the hierarchy, so I only have to pay half the price. Preface – The following is NOT to be construed to denigrate other “truth tellers”, but rather to provide an example of “comparative value”. For his audience and for what he does, occasionally I pick up some interesting and valuable tidbits or pieces of news when, on rare occasions, I do click on a video of interest. David Seaman does have a different audience than at Corbett Report. I am glad Seaman is trying to help educate people. However, listen to this video to get a Comparative Value. ~~ Both David Seaman and the lady are relative “newcomers” (especially David) to the topics of Fluoride and aluminum. ~~ “Tom’s of Maine” is recommended for toothpaste and deodorant, but Tom’s is owned by Colgate-Palmolive. Tom’s has questionable other ingredients. Also, Tom’s toothpaste marketing labels…sometimes it may not say “contains fluoride” on the front, but when you read the ingredients list it does. They carry a lot of fluoride toothpastes. I just wanted to illustrate relative value. Any investment and money oriented show should really take advantage of interviewing James Corbett. He has not only a wealth of knowledge across many, many topics, but he gleans relative importances, stays focused, and provides a balanced perspective. And he can dance with the interviewer. There is a tremendous amount of relevant investment information tied to his documentaries and past videos. These three most recent are “MUST SEE’s” for any investor.